Help make East Sheen safer – volunteer! Would you like to help make our neighbourhood safer? The East Sheen Police Liaison Group (PLG) needs a volunteer Chair and Secretary. 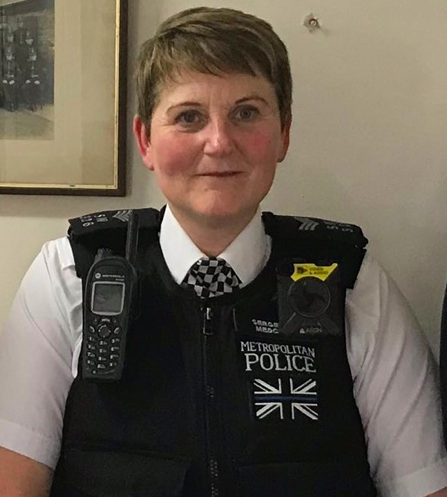 At the last PLG meeting on 21st March at East Sheen Baptist Church Hall our beloved Sergeant Jan Medcalf announced that this was her last meeting as she is retiring from the MPS on 8th April. Sergeant Medcalf is recognised as an excellent officer performing her role extremely well and the decision about who will replace her will be made in the coming weeks. Current SNT members include PC Damian Catherall and PCSO Peter Donaldson who continues to promote and maintain Neighbourhood Watch. Current Chair of the PLG, Keith Mahony wishes to stand down as Chair to instead be more actively involved in Neighbourhood Watch. The purpose of this meeting was to allow police to provide an update on local crime and policing activity and for the local public to have their say by raising general issues and questions within the meeting. This post is an edited summary of the minutes of the meeting. The most prevalent crimes in East Sheen in the three winter months (December-February) were Theft from Motor vehicle at 28 and Burglary residential at 24 over the three-month period. Full statistics are available online and from your Neighbourhood Watch coordinator – get in touch if you don’t have one but would like to establish it in your road. Moped enabled crime is generally decreasing but is still an issue to be aware of. The SNT are often involved in dealing with longer-term issues that other police units are unable to as they can be very time consuming. Examples of this include activity to close a brothel and the behaviour of an individual harassing many of his neighbours making frequent loud noise and shouting in the street – in this case the individual has recently been sentenced to 5 months imprisonment based on a case compiled by the SNT. Concerns of Sergeant’s Medcalf’s replacement (and the lack of replacement for PC Kenny who left the SNT some weeks ago) were raised several weeks ago in a letter to Superintendent Appelgarth (copied to MP Zac Goldsmith) but as yet nothing received in reply. Hopefully something positive will be heard about a replacement for Sergeant Medcalf very soon and that officer will be in post before she leaves. For information, Zac Goldsmith has asked to be kept informed on this. Two events are coming up in April which may be of interest to Sheen residents. A ‘Scamming’ meeting will be open to the public to raise awareness of this type of crime and thereby reducing risk to individuals. 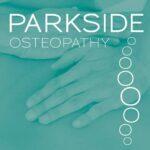 This meeting is being run by an ex officer, Les Jackson and is on 10th April at 7pm at Richmond Museum, Old Town Hall, Whittaker Avenue, Richmond. There will be an open meeting being held by MP Zac Goldsmith to discuss local issues, on 25th April at 7pm at Kew Community Trust, St Luke’s, The Avenue, Kew TW9 2AJ. Although being held on another ward discussions may be of interest to East Sheen residents. The next meeting of East Sheen Police Liaison Group will be held in June (date tbc). Bori has been a member of the ESV team for a few years now. She loves long walks in Richmond Park and coffee that's not too hot to drink.